As you may have guessed, there is a prequel to this post. New York Travel Guide: Part 1 reviews a live taping of The Colbert Report, Governors Island, playing the Broadway Lottery, and Holey Donuts. I moved to New York in August, so I’m still pretty new here. When visiting places around the city for the first time I still have a tourist perspective, but I’m not reviewing the most obvious tourist attractions (like take a Statue of Liberty tour). I’d like to think I’m offering a slightly different take on what to see and do when visiting NYC, especially if you’re visiting for your second or third time. It’s also worth noting that a trip to New York doesn’t have to all be expensive. While I can’t vouch for accommodations and your food choices, I can say there is a great deal to be experienced for free or cheap if you know where to look. Let me show you! Like I said, I reviewed The Colbert Report in my first series guide. At the time I figured I’d only review live show tapings once because there are so many you can see here. That was until I saw The Tonight Show with Jimmy Fallon. It was a different experience than The Colbert Report and The Daily Show because, well, they’re different kinds of shows. The Tonight Show is pure entertainment that will leave your cheeks sore from smiling, your gut sore from laughing, and completely starstruck. Seeing The Tonight Show is a good activity during cold weather months. While you’ll wait outside for tickets for The Colbert Report and The Daily Show, the line forms inside for The Tonight Show. There’s also plenty to do inside at Rockefeller Center after you secure your tickets but before you return for seating. I’m growing to really appreciate the indoor activities as we’ve been in frigid temperatures for a while. Scoring free tickets for The Tonight Show takes planning, or you can try your luck with the standby line. Follow @FallonTonight on Twitter to find out the day and time tickets will be released each month. Return to the ticket website before that time and be prepared to grab tickets as quickly as you can. May the odds be ever in your favor. I love popping up from the subway in Union Square. It’s hard for me to say exactly why; it’s a large open space/small park in the middle of a bunch of buildings. What’s the big deal? Union Square is always active and there’s a lot to see at any given time. Sometimes there’s a local vendor and farmers’ market to peruse with everything from ostrich eggs to wheatgrass. Sometimes there are public demonstrations or street performers doing impressive flips in the air. Sometimes there is an animal adoption event and one corner of the square is filled with cute puppies. You can always find a bunch of people playing chess and good stores to shop. It’s a great area to explore because you can walk to neighboring trendy areas for additional sightseeing and shopping. If you appreciate old art and architecture at all, you’ll enjoy exploring the Schwarzman Building at 5th Avenue and 41st Street. You’ll be greeted by two massive stone lions and a beautiful facade. The building details are gorgeous, and you’ll feel like you’ve stepped back in time as you climb the marble staircases. You may recognize the library and the Rose Main Reading Room from movies and TV shows. You can tour the historic building on your own or with a guide as well as attend special events and exhibitions. Don’t forget to look up! I had to throw in another food/drink stop since I talked about donuts last time. If you’re not a fan of How I Met Your Mother, you can probably check out now. If you loved HIMYM as much as my husband and I did then you’ll likely enjoy grabbing a themed drink at McGee’s Pub, the bar that inspired MacLaren’s Bar. We went with some friends visiting from out of town and had a great time geeking out over the show. Buzzfeed put together a list with some fun MacLaren’s/McGee’s facts. 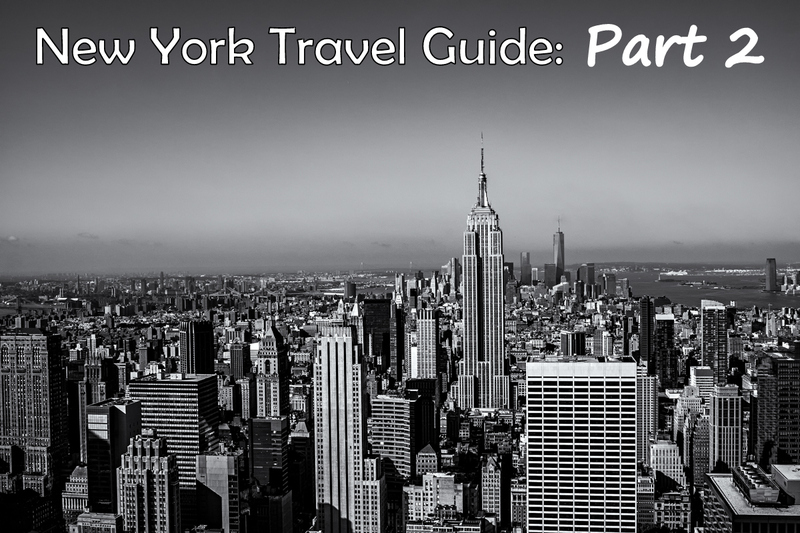 What would you like to see on my lists of New York City destinations? Photo courtesy of Stefan Ogrlsek. I would LOVE to see the Tonight Show since I am a HUGE Jimmy Fallon fan. We have tried multiple times, though, to no avail. It’s a bucket list item, though, so hopefully one day I can check it off. Keep trying! Someone else actually said they’ve tried numerous times. I must have had a stroke of incredibly good luck! Your New York posts are making me dying to go back. Let’s meet up if you do!